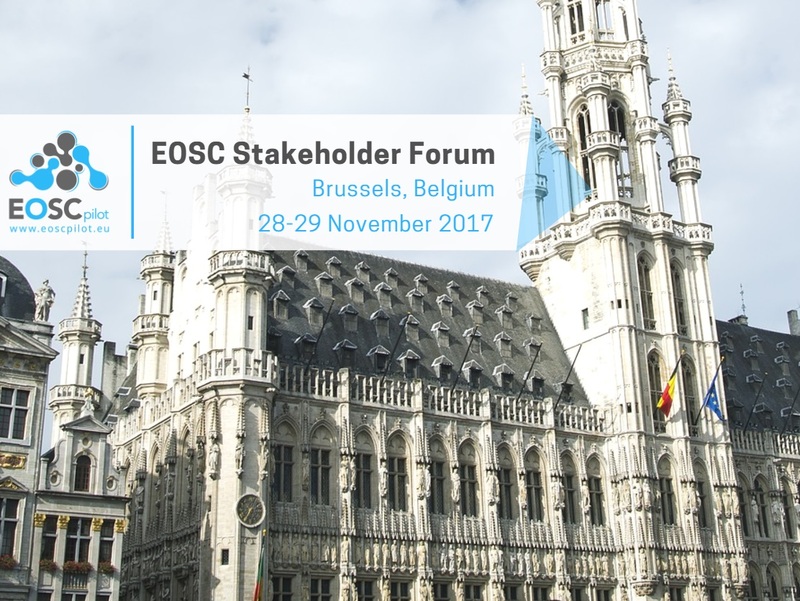 Make your voice heard and be involved at the first EOSC Stakeholder Forum organised by EOSCpilot in The Square, Brussels, on 28-29 November 2017. Communicate the early results of the EOSCpilot project, collect feedback on the pilot's findings, and raise the questions which remain open in the shape of the EOSC. Identify possible EOSC shapes and features to clear up the vision of the EOSC with concrete and user-oriented attributes, taking into account the first HLEG report and the EOSC's pilot Science Demonstrators. The event will collect ideas shared by stakeholders to help shape the direction of the EOSC. Discuss the practical possibilities of the EOSC and identify minimal viable products to deliver European added value e.g. architecture, functionalities, training or collaborative tools, with all stakeholders and assess their feasibility, value, cost, sustainability, openness and user-friendliness. Prioritize the implementation roadmap with stakeholders identifying the most urgent steps they believe are necessary to build the EOSC, and by comparing ideas in Panel Discussions. Present and discuss possible governance, funding and business models to sustain the EOSC aiming at light and Pan-European frameworks. Shape and show your interest in taking part of the EOSC Advisory Stakeholder Forum. Share Good Practices and local initiatives fostering Open Science, which could be generalized to the EOSC, including the EOSC Pilot Science Demonstrators, and other Open Science friendly organisations and associations, in order to inspire all EOSC builders. The EOSC Stakeholder Forum will be followed by the DI4R event taking place at the same venue on 30 November and 1 December. - Are you an Speaker, Pannelist,EC member, or EAB member? Please register here. - Are you an EOSCpilot project partner? Please register here. - Are you not involved in the EOSCpilot project? Please register here.